If you own a geographic domain name, such as HiltonHead.com or Seattle.com, or a newspaper, radio station, television station or media company focused on a local geography, there may be an unseen competitor to your business – and the competitor might not be playing fair. Skip Hoagland has been fighting against unfair business practices since October 2011. He has documented practices by multiple Chambers of Commerce that include excessive salaries and spending, taking jobs out of the cities they serve (and the country), and competing unfairly based on IRS tax exemptions. Watch this interview to learn more about this issue, and what you can do to determine if abuse is happening in your city. Skip Hoagland is the founder and president of Domains New Media LLC. As a 30+ year veteran of local media, Hoagland started by publishing magazines and brochures for visitors to the tourist destinations of Hilton Head Island and Myrtle Beach. Today, Hoagland owns one of the largest and best portfolios of city/state/country domain names, such as Atlanta.com, BuenosAires.com, Cuba.com and SouthCarolina.com, as well as generic leisure sites such as Fishing.com. He is also leading the fight to Stop Chamber of Commerce Abuse. If you are a media company, a local newspaper, a tourism company, or a blog serving a local community, you might have a not-for-profit competitor you did not even realize was there taking revenue from you. And they may be competing unfairly against you. Stay tuned. First, if you’re a domain name investor, you have unique intellectual property needs – and you need an IP attorney that understands them, that follows the industry, and can help you navigate UDRP, copyright and trademark laws. David Weslow of Wiley Rein is the lawyer to call for Internet legal issues. Second, if you have a great domain name and nothing to show when people visit, you’re missing out on potential advertising revenue, leads, and partnership opportunities. NicheWebsites.com can build you a site quickly with a price option to suit any need — but as their tagline says, they don’t just build websites, they build businesses. Finally, if you’re buying or selling a domain name or portfolio and you want an estimate of it’s value, Estibot.com is the place to go. Just like you’d visit Zillow.com to get an estimate of a house value, Estibot.com provides key information about the most important statistics so you can make an informed decision based on data. All three sponsors have a clickable banner in the upper right hand corner of DomainSherpa.com. Here’s your program. Michael Cyger: Hey everyone. My name is Michael Cyger, and I’m the Publisher of DomainSherpa.com – the website where you come to learn how to become a successful domain name investor and entrepreneur directly from the experts. There is a not-for-profit organization in your local community that may be growing and looking for more revenue; and if you are a local media company, you might have a new competitor or an existing competitor you did not even know about. Today’s guest is going to tell us all about the issue. I would like to welcome Skip Hoagland, Founder and President of Domains New Media – a print and online publisher of geographical destination and leisure properties. Skip, welcome to the show. Skip Hoagland: Glad to be here with you. Michael: Great, and right off the bat I am going to point out that you are a rock star, Skip, because we have been wrestling with Skype for the past hour and a half. You got it up and running. You are in Buenos Aires today. I am in Seattle. We may see some delays in video and audio, and at that point I will try to let the audio catch up and then we will just continue from there. So thanks for persevering today, Skip. Skip: Not a problem, we did it. Michael: All right. So let me start with this question, Skip. I read in the 2008 cover story of DNJournal.com that you purchased MyrtleBeach.com for ten thousand dollars in 1997, and everyone thought you were crazy at the time. Then, in July 2008, you told Ron Jackson at DNJournal that the MyrtleBeach.com website earned about two million dollars per year. Was that number correct? Skip: These are all approximates, but they are pretty correct and pretty accurate. What we did was, back in the early days when I bought this asset from a girl in Atlanta, Georgia, and of course, we were, at that time, buying up a lot of assets, we started buying up these assets in ’95/’96/’97/’98. We continued to buy up till about 2000. A few after, but most everything was acquired in those early days because prices got so high and out of line after that. But yeah, we bought the asset, and then we leased it, which is interesting. MyrtleBeach is an interesting story, and it can be read online. We leased it to the local Chamber of Commerce in Myrtle Beach, and we leased it for a percentage of gross revenues. And what happened was that, because of the Internet laws and everything, we were at the very forefront of all this. Nobody really knew what trademark rights you had to your assets and on, and on, and on. And of course, when we started buying these assets, back in the early days, it was two hundred dollars registration fee with Network Solutions. There were no other registries to deal with, and so, even two hundred dollars a year, you had to think about what you were going to buy and what you were going to do. Skip: So, anyway, we went on to buy it, we leased it out, and interesting is we got sued. The Myrtle Beach Chamber of Commerce and the City of Myrtle Beach sued us, claiming trademark rights to MyrtleBeach.com. Well, trademark lawsuits are very expensive and my wife and I of course work together, and she is very instrumental in why I am here talking to you today and a big help to me through the years of doing a lot of searches into the midnight hour. But anyway, we fought this lawsuit and we won and we prevailed. And it was not too much after we prevailed the guy who initiated this lawsuit ended up having a heart attack and dying, interesting enough, and I did not send flowers to the funeral nor did I attend. So, anyway, it was a real struggle. We won this lawsuit, and we actually went on to set the stage for all geo domain owners worldwide to help them because this law was set. Then Barcelona got into some problems, and they lost their case, but it was appealed and that name was won back to the owner here, in the US Court, eventually. So, those two names – MyrtleBeach.com and Barcelona – set the stage for rightful ownership to geo domain names. So, anyway, we did not lease back to the Chamber of Commerce after this fellow died and the new executive director took over, and we ended up leasing it to a group that was actually developing their site form and we spun off. And they did a great job and they went on to run MyrtleBeach.com. And again, I leased it to them for a percentage of gross revenues, and it got to where it was very successful, doing a lot of money, and then we ended up selling that asset to them, and I think that sale was 4.5 million dollars. I think that was the sale, so it was one of the largest sales of a geo domain name. And I traditionally do not sell. We like to buy. We have not sold a lot. We have recently sold Guatemala.com. We sold that to a group in Guatemala. That is a private sale. We do not disclose what we sold it for, but we obviously do not give names away, so we did well there. And actually, I originally bought Guatemala.com from the owner of Mexico.com. Skip: And so, yeah, back to your question, a ten thousand dollar investment in ’97 or ’96/’98 – whenever that was. Again, do not hold me to exact dates and to exact numbers, but we will get close – turned out to be a very good investment and a very good return on our investment. Now those days are over. Those days are over. There is a lot of things that are affecting the valuations of geo domain names, revenues of geo domain names, and I would say that the biggest negative effect, which is what I told you before we started this interview that I was going to get into with you because it all plays. There is a lot of things now. You are going to have to follow me. We are going to get on a lot of different highways. We are going to be making quick turns and spinning around. Michael: We are. Okay, so do not bring up that topic yet, because I want to get to that and I want to set the stage. Skip: Because it does tie in. It does tie in, but anyway, what I am going to tell you was, in the old days, usually industries grow and involves and become more valuable and do better and better. Well, the geo domains – the Atlanta.com’s and the HiltonHead.com’s, and the Charleston.com’s, and Baltimore.com’s, and the twenty or thirty or forty that we own. We have a pretty good portfolio in the US – about eighteen or twenty -, and then we have a good portfolio outside the US in various different parts of the world. But the valuations of these names have actually decreased. They have not increased, and there is reasons for that and, if you want to get into that conversation later, I will tell you and your listening audience here exactly what has been the biggest factor and what has affected it. Michael: Yeah. Actually, do you mind if we get into that right now, Skip, because I have interviewed Michael and David Costello on the site in the past. They talked about PalmSprings.com. Michael talked about the strategy of it and David talked about the selling tactics, and they got me so excited about geo domain names, I went out and bought the City.com where I live and I launched a full website with a full directory and maps and itineraries, and you name it. It is a decent destination, but it is nothing like the geo domains that you own with massive populations and visitors. But what I probably discovered was that most business owners in my city are not focused online. To them, print is still the biggest advertising buy, and that was an eye opener to me. Do you find the same thing and has that affected the valuations of the geo domains that you own? Skip: No, I mean I think what it has become is a combination of both, and I think that I may be one of the perfect people to explain that because I am perfect living example of this, and I think being in a resort/tourism area in most of my professional business career, living in Hilton Head, and starting, over thirty-five years ago, a tourist magazine and a tourist company, which today we still own. We still own Island Events Magazine – leading tourist magazine on Hilton Head. We own Savannah Scene Magazine, and we have had some others that we have sold. We own a brochure distribution rack system, where you have the eighty-pocket racks in the hotels. We have all that in Hilton Head and we had some other cities that we sold. And that was really the reason that I started buying up in 1995, when some young guy, who I now lost contact with, apparently a lot smarter than me, said, “Skip, aren’t you worried about the Internet putting you out of business?” And I said, “I do not know anything about the Internet. I do not know anything about computers.” And he said, “Well, you better learn.” I said, “Yeah, I am going to get into it.” That is why we ended up buying HiltonHead.com and HiltonHeadIsland.com, because I took that serious and I said maybe there is something to this. It is worth two hundred dollars. It is worth a gamble. It is worth five thousand or ten thousand dollars to buy these assets. So, for us, it has been great. It has been a great ride because we have been able to combine our content-producing capability of our magazine going back thirty-five years, and marrying this with Island Events Magazine, and marrying it with HiltonHead.com and HiltonHeadIsland.com. We also got smart to know we needed both versions. Sometimes you need the singular or you need the plural, or the two different names of this particular location. We did not buy the .ORGs. We did not buy the .NETs. We just bought the .COMs. I mean there is a point to where you just go broke trying to buy domain names and you have got to have the strategy to buy the best and the premium names, so that is what we did and it has worked out very well. We still have a million-dollar business with our tourist magazines, selling advertising, because people, even the younger people – everybody still picks up a magazine. They are going to go to the beach or they are going to ride around in the car. Sometimes it is easier and quick and they like to read the magazine. They might not want to take their iPhone to the beach, and so it works, especially with tourism products. I think the Internet and tourism cities actually, like HiltonHead as an example to Atlanta — well, we made more money with HiltonHead than we do Atlanta because it is just pure travel and tourism, and a lot of the money is made through booking hotels and transactions and all that. And in that example, it would be LasVegas.com, which is a gigantic revenue producer, and maybe the number with LasVegas.com for gross bookings and tickets in online travel could be half a billion dollars. Maybe it might grow to be a billion-dollar company. So, they have done very well, they rank very well on Google, and they have done some other things that are very interesting of late, which might be a good example as we move into this conversation. So, anyway, again, follow me. We are going to go on a lot of different roads here, but we are going to get back to what I see as the biggest threat and the biggest problem that we all face in the private free enterprise media business. That is where we pay taxes, we operate for-profit companies, and we have to abide by the tax laws of the United States of America. What we are all up against, which has happened and actually has been going on even before the Internet. This study that I have produced on the HiltonHeadIsland (Unclear 13:37.7) Chamber of Commerce, which can be read at StopChamberAbuse.com, goes back some thirty-five years for me, because I am taking a position that Chambers of Commerce and CBBs have been unfairly competing against their media members going back many, many years and they have lost their way and their original intent and mission and charter statement, which is to promote their local members to help them survive and prosper in the community which they do business. Well, they have gone array. They have gone totally away from that, and the Internet has put them in hyper-warp speed to abuse us even more because, even before the Internet, they were attempting to publish magazines locally. And Hilton Head, here I am a member, expecting them to pass out my magazine and, no, they are producing a tourist magazine, trying to distribute it locally, selling advertising against me, and that is totally contrary to what they are supposed to do. Now, what is interesting about Chambers and CBBs, and this conversation is going to go for a long time right now, so you can edit this or whatever you want, but I do not think you are going to want to edit it. Michael: We are going to let it run, Skip. Skip: And I think a lot of people are going to find this very, very interesting and very, very compelling. Skip: Because there is nobody on this planet that knows what I am getting ready to tell you, who has studied this like I have studied it. They are so out of control today because they are running websites now that are being ranked on Google one, two, and three. You can type in almost any city name worldwide and they are going to come up one, two, or three – the city or state government. Even state governments are unfairly competing with us today. But they have been doing this with their magazines, and then the Internet came along and they started the same thing. So, an example: HiltonHeadIsland.org, owned by the Hilton Head Bluffton Chamber of Commerce, which I am a member of and have been for thirty-five years, paying dues member. Now, I want to back up. I want to clarify one thing. This is real important. Chambers of Commerce and CBBs are not a franchise. They are not connected to the US Chamber of Commerce. They are not connected to the American Chamber of Commerce. Every Chamber of Commerce is autonomous to that community, started in that community, and anybody could start a Chamber of Commerce, including myself. In fact, I have. I own ChamberOfCommerce.com and it is a over a million page views on that site and being run as a tremendous website, and it is a run as a for-profit, not a non-profit. And I bought that name for a big reason, as you will follow me as we speak. Skip: But HiltonHeadIsland.org is owned by the Chamber. HiltonHeadIsland.com is owned by me and our company and my partner. They are exactly the same site. They do exactly the same thing. They are a destination-marketing product. They serve the same purpose. They both sell advertising. But one – HiltonHeadIsland.com – is a for-profit, local media, has to pay employees, has to pay thirty-five percent corporate taxes, and on – all the costs of doing business. The other one is run as a non-profit 501-c6, pays no corporate taxes, gets local bed tax moneys from the tax payers, gets state grants from the state, has enough money to hire unlimited employees, has an executive director that is paid a four hundred thousand dollar a year pay package on Hilton Head. Now, this abuse is just not Hilton Head. This is across the nation. Now, Obama makes four hundred thousand, just so we can put this in perspectives, and the Governor of the State of South Carolina, Nikki Haley, is paid a hundred and six thousand a year. Our local Mayor is paid thirty thousand a year. So, here we have this guy – $341,000 salary. You will read all this on StopChamberAbuse.com. Skip: He makes his salary. He is traveling, using money to travel to England and China, and all kinds of crazy stuff, which is completely insane. And has taken this website and our tax money, and has actually subbed out the work to do this website to a Canadian company, which is not only abusing our country, but it is abusing our city and our state and the members that are in this business. Skip: So we have a guy. This guy, Bill Miles, who is running our Chamber of Commerce at Hilton Head, that is so abusive that you cannot believe it. And I think that it is not only abusive, but I think it is corrupt and I think it is abusive to the taxpayers. I think it is in violation to media members. I think it is in violation of taxpayers to be running a Chamber with these kinds of salaries and excessive overhead, and I think it is abusive all the way around. I think it is unfair trade business and competitive practices, but here is the big one. Here is the big one and here is where I am going with this. It is also, after studying, and everybody in this listening audience go get, including you, Michael. I want you to go order the Form 990. Every non-profit has to file a Form 990 with the IRS, and you have perfect rights to that. What this Form 990 will show you is not everything, but it will show you enough to understand the abuse that is going on in your own city. And here is what we discovered. We discovered something huge. We discovered that they are in one hundred percent violation as written of IRS Tax Codes, as written by the United States of America, and the IRS is not enforcing this Tax Code. So, when I found that out, I went ahead and put up to hire an accounting team, run out of Savannah, Georgia with a legal team. I invested probably twenty-five thousand dollars out of my pocket to order all the Form 990s of fifty of the biggest cities in America. Las Vegas, New York, Chicago, Atlanta, Myrtle Beach, Charleston, Hilton Head, Miami – on and on – and a lot more. And we discovered we were correct that they were all publishing magazines. They were all selling advertising. They all had these websites selling advertising. And every one of them are in violation of 501-c Tax Codes. So, I went ahead and filed a Whistleblower Tax Case. Michael: And who is that filed with? Is that filed with the IRS or the Commerce Department? Skip: No, that is filed directly with the IRS in Washington. The Whistleblower Program. We have an assigned agent to us and everything, and this is an ongoing thing. Now, with the latest problem the IRS has, this thing is even going to get more interesting. And a lot of media companies – some of the biggest media companies in the country – are filing this, and I have even sent this information to Gordon Borrell at Borrell & Associates, who is the Marketing Research Firm that many of these newspapers, radio, and TV stations follow in a very big way. He is a very bright guy and great company. Michael: Let me ask you. What exactly are they breaking? What Tax Laws are they breaking by doing what? Skip: I am going to make it real simple, and you could get a more in-depth response. I am not an accountant. Skip: I am not a lawyer. That is not my profession. Michael: You are a publisher, right. That is why you hired professionals to do that. Skip: I will give you the layman language for this, and that is what they are doing is they are a non-profit 501-c6. And what they are doing though and what is against the Tax Code is operating for-profit ventures, profiting off of for-profit, and not paying corporate taxes. And they stand the risk of losing their non-profit status because of that. Now, there is much more between the lines and much more on the other end of that, but that is basically what is happening. And of course, my next lawsuit, unfair trade business competitive practices, is exactly that. You cannot compete against somebody that has an unfair advantage, who is actually breaking a Tax Law, and allowed to break the Tax Law by the IRS. So, I am going to the IRS. Let’s assume that, by doing this and with all the other Whistleblower Tax Cases that will be filed on top of all the ones that I filed, we will be in the billions of dollars of unpaid taxes to the IRS. Well, I am actually the IRS’s friend. I am telling them. I have identified people not paying you taxes in our country. Skip: But they are not enforcing it, and that is where this thing might end up in some sort of a Tax Court. There will be lawsuits. I do not know. What kind of shocks me is that the IRS should be thanking me and they should be jumping on this immediately, and we can see what is going on with the IRS now with the 501-c4. They are all non-profits, but there is little different things that are stated on how a c3, c4, and a c6 have to act, etc. c6 is kind of a designation that has been given to these Chambers and CBBs, and these types of organizations, but it was really a shocker for us, and so we are all over that. And if we are using Hilton Head, I cannot conquer the world, but we are beating this Hilton Head Island thing to death because we could put our hands around it. Now we have sued them and, actually, they tried to take us to the South Carolina Supreme Court. The Supreme Court kicked the case out and put it back into a lower court. We sued the Hilton Head Chamber of Commerce under a FOIA Lawsuit. And what a FOIA Lawsuit is. Skip: Freedom of Information Act request. Skip: They were refusing to give us these numbers, and we were saying, “Oh,” because they said they were a private organization. Remember I told you they are not part of any government. They are not part of any state. They are not a franchise. They are all totally autonomous and independent. They are just a non-profit entity, like a local Church or whatever. And so they are claiming that they do not have to show all their financial information, because they are scared. They know that I got them. They know that I have nailed them. So they say, “No, we are not going to give it you.” Well, I say that is not going to happen, so I sued them. And we are now in the process of trying to get all this information because as we win this and we show mismanagement, we show abuse, corruption, and whatever else that we can find, and we do not know anything. We do not know how much and how bad it is until we get every bit of information. You are innocent until proven guilty. Skip: Our plan is to prove guilty. Now, we have already proven the IRS violation, but we have much more to go. This is an ongoing thing, but I want to share this with everybody in this country that is in the media business that pays taxes and is trying to survive just how bad it is. Now, Google is a for-profit company. They could do whatever the hell they want. They have their management. They do what they want. They want to rank Chambers and CBBs number one, two, and three, which puts them at an advantage against all of us, they can do that. So I knew that I could not fight Google. I cannot sue Google. There is nothing to sue them for, but what I can do is go after these Chambers and CBBs. Now, when somebody comes to HiltonHeadIsland.org, I have written – and you can read on my website, StopChamberAbuse.com. Remember Romney? I am a Republicrat. When I think of position, I am a Republicrat. That way I am very political correct here; nobody can come after me either way. I am a Republicrat. I see good on both sides. Skip: But Romney came up with a 6-Point Plan, and I said, “That is kind of interesting. I am going to use that. I am going to use that idea.” I came up with a 6-point plan – totally a business plan – on how a Chamber of Commerce and a CBB needs to operate. So, not only do I criticize, because anybody can criticize. I can tell you on this camera I do not like you because you have more hair than me. Well, that is not a very good reason. That is easy to criticize somebody, but you have to tell me why you think that way. So, I give a reason on how to fix the problem, and one of the things that I say is HiltonHeadIsland.org, going against HiltonHeadIsland.com, number one: it should not be that way. Number two: they should not be in the advertising business. They should not be in any business. They should not be in the travel business. They should not be in the banking business, the insurance business. They should be in no business. They should be promoting and fostering support to help every member in that community survive. That includes me and other media companies, even my competitors. Now, what they should do is have a website. When you go to HiltonHeadIsland.org, it should be a directory site. Videos, great. Talking about how beautiful Hilton Head is, great. They should list every member A to Z. They should put a listing of all the medias – newspaper, radio, website, tourist magazines – and let the consumer visiting that website click on the choice of media information that they want for the community. What they should not be doing is producing a site that drains local ad budgets, competes unfairly against their members, looks at their members an enemy, is in violation of 501-c6 Tax Codes, is abusive to tax payers, generates monies to abuse all of us by exorbitant excessive salaries for the executive director, twenty-three employees – on and on and on. Michael: So, my local Chamber of Commerce here, on Bainbridge Island, Washington, I think, only has one fulltime employee or maybe two or three full-time equivalents, and everybody else is a volunteer. We do not have a large budget here. We do not have the income that a Hilton Head does. I do not think our executive director or president, or whatever the title is today, is making more than eighty or ninety thousand last time I checked. Is that abusive? Skip: Yeah, that is too much. That is too much for that kind of a job. First of all, these guys that makes this money – there is no performance. They do not have to perform. They are living off tax money and member’s monies. This guy on Hilton Head Island making that kind of money for fifteen years. There is no performance. He just gets a paycheck on Friday. I mean he has got twenty-three people. He can play golf three or four days a week and nobody knows it. Michael: Isn’t that just like politicians? They are elected until the end of their term based on what they said they were going to do. Skip: Absolutely, entitlements, no performance. You and I have got to perform or we go bankrupt or we get fired. Skip: And so yes, it is abusive. That is an abusive salary for the size of community that you have. It is very abusive. It should be forty or fifty. Thirty-five. I mean look, the Mayor of Hilton Head makes thirty. I mean the Governor of South Carolina makes a hundred and six. Obama makes four hundred thousand. Think about that. Put that in perspectives. Michael: Yeah. Now tell me this, Skip. What should the local Chamber of Commerce(s) be doing to drive more business to local businesses without doing any advertising? Because they could be out of media and out of the advertising business. Skip: They should be advertising the communities with our tax dollars. They should be using state grants to advertise Hilton Head. Hilton Head or Bainbridge. They should be maximizing this exposure on the Internet with search. They should be generating that business for their members, not themselves. That is clearly the point. Now, the other thing is, depending on the size of community, a Chamber and a CBB, or a VCB or Tourist Board. Just so you understand Convention and Business Bureau (CBB) or Visitor and Convention Bureau (VCB), depending on where you are. On Hilton Head they renamed it Visitor Convention Bureau, but it is known as Convention and Business Bureau or a Tourist Board. In Las Vegas, it is the Las Vegas Tourism Authority. It could be a Tourism Office in Europe and around the world. They do not use CBBs as much as they use Tourism Commission or Tourism Board, or Travel Board or whatever. Skip: Regardless, if in a small city, economy is a scale, a Chamber and a CBB or Tourist Board should be one and the same. One executive director. Small staff, like you say in your community. There is no reason to have two. But in Hilton Head, Atlanta, and different cities – a little bit bigger communities -, the way to do it is a totally separate Chamber and a totally separate Convention and Business Bureau. They both have different functions. They have both different purposes. The Chamber of Commerce is the support for the local businesses that depend on local business locally – everything locally. Banks, insurance companies, electricians, plumbers – that is a Chamber. A Convention and Business Bureau, Tourist Board, VCB, or CBB is totally different. That is when a community depends on a lot of revenues for tourism – for people coming here -, and so those members would be hotels, restaurants, etc., and that is a different purpose. Skip: That is the group that usually gets the director marketing organization (DMO) money, becomes a direct marketing organization chosen by that city government, that town government, gets the state grants, etc. But they should be held accountable and they should be investing those funds under a fair set of rules and not abused, like we are doing on Hilton Head. It is totally abusive because of the salaries and because of the violations of Tax Codes and the fact of what they are doing. They need to run their non-profit business like I run my for-profit business. They need to learn to run it with the monies that they receive and not try to fund the bureaucracy or the abuse by doing thing that are illegal and in violation. So, the Hilton Head Chamber has to learn to operate the VCB Division, or CBB Division, or Tourist Board Division with the membership monies and the monies that it is granted by the local town as DMO or the state grants. What they cannot do is create another for-profit product to make millions of dollars with to fund it more. So what that does, when you separate the Chamber and the CBB, unlike Hilton Head, where they are both running together, which they should not be, now they are able to commingle the funds and they are able to hide all this abuse like that four hundred thousand dollar pay package that this guy makes. Well, anybody listening to this program, anybody that reads anything on StopChamberAbuse.com, I can tell you not one person on this planet or on Hilton Head, except for a few of the buddies – what I call the buddy board – of this Chamber will agree that this guy should be making four hundred thousand as an executive director of a non-profit business organization. Michael: So, explain to me how a Chamber of Commerce can have for-profit activities and not-for-profit activities. If the entire business is not-for-profit, meaning that they do not take the profits and put them into their own pockets, that monies need to be either carried over from year to year or reinvested in the “community”, what does it mean to have a for-profit activity and a non-for-profit activity? Skip: I have got the exact answer as part of my 6-point plan. It explains it very, very clearly. Chambers of Commerce can run any kind of program that does not compete with their members/businesses. So, what they can do, and I have no problem with this, to raise additional funds, which is totally appropriate, is things like business after hours. A business expo. A food fest. These kinds of things. These kinds of things that benefit the members, benefit the community, and help them make some additional revenue and additional funds. These are acceptable. What is not acceptable is running an insurance company, a bank, a restaurant, a magazine, a website, a media company – anything that directly competes or hurts members in that business. You understand? Michael: That makes sense. So who says that Chamber of Commerce’s, which are all independently owned and operated or run individually – there is no overarching authority to say you are doing it right or you are doing it wrong. What is to say that they cannot compete with members? Skip: Well, and that is why I went after them on the tax side. That is why I went after them with the IRS Whistleblower, because they are in violation. So, you either are or you are not, as they say. If you are going to be for-profit, then play by the rules, pay your taxes, do not compete unfairly, unfair trade competitive practices. Clearly end of story. That is where I got them. Michael: Okay, I am a for-profit company. My three local newspapers are for-profit companies. If the Chamber wants to compete directly and sell advertising and sell online, improve directory listing, and sell videos, and sell marketing services, then they need to compete directly with me as a for-profit. They cannot be a not-for-profit. That is the crux of the matter. Skip: That is correct. They also just need to say do not join, because you are the enemy. Skip: Yeah, and here is what I say to local media companies. Here is what I say to everybody in this country. You start the local media association. We need to start, and I am sure we will, the Hilton Head Island Media Association so the thirty media members join this association and we let the Chamber know that you are going to play by our rules. We are not going to play by your rules, and then we are going to carry on this IRS Whistleblower Tax Case and we are going to make them pay the back taxes and everything that they owe. It is interesting. I get a Whistleblower fee for this. I get a snitch fee. I am a snitch, okay? Michael: I did not know that. Okay. Skip: But I am a good snitch. I am a good snitch because I am getting paid to go after somebody that is abusing all of us in this country, and I should get paid for this job that I am doing and I should get paid well, and I plan on getting paid well for that. And so, the bottom line is it has got to be done fairly. It has got to be done fairly. Michael: No, I completely agree. Now you brought up the snitch thing, so how much does a Whistleblower Case earn the person reporting? Skip: Well, anywhere from twenty to thirty percent, depending on how much you identify. So, let’s assume that I identify a billion dollars in unpaid taxes. I mean just LasVegas.com or VisitLasVegas.com, or VisitThis or VisitThat – I mean you add all this up. Let’s say that it is a billion dollars. Let’s say that when you total it all up it is a billion dollars. Let’s say that you become a Whistleblower for Bainbridge and Michael and David Costello become a Whistleblower for their cities, and everybody else that owns Chicago.com, and NewYork.com, and SanFrancisco.com, and Miami.com owned by (Unclear 39:03.8). They all turn their Chambers in. Well, I will not get part of that fee. They will get that money, but what I have turned in could very well be a billion dollars. So, if it is twenty percent, it is two hundred million. If it is thirty percent, it is three hundred million. Look, we all know about the Tax Case in the Swiss Bank Accounts. The guy that turned in the Swiss bank accounts. It was the biggest Whistleblower settlement in US history. It was a hundred and six million dollars. He actually got underpaid, because I think he identified four or five billion, maybe more, in Swiss bank accounts. The problem with that guy is he had to serve three and a half years in prison because he is part of the scheme. Now, if somebody told me I had to serve three and a half years in prison for a hundred and six million and get a hundred and six million to (Unclear 39:54.3), I would probably do it, but I do not have to go to prison because I have not done anything wrong. All I have done is done everything right. I have been completely upfront, onboard, and I have identified abuse, and I am playing by the rules. I am not playing by an unfair set of rules. Skip: So, that is how that program works with the Whistleblower IRS. Michael: Skip, why didn’t you just run for President of Chamber of Commerce, and then knock your salary down to fifty thousand dollars, and run it like a media company? Skip: Well, I think that somebody will apply for that job locally in Hilton Head. I think that thing will be cleaned up. I think that guy will end up being fired. I think there will be a new board. Here is what is interesting about the abuse on Hilton Head, and this is another thing you have to identify that people need to be aware of when they clean up their local communities. The Hilton Head bylaws, which we have studied, was changes somewhere around 202. We are trying to get a copy of the old bylaws. We have not gotten our hands on, but we know that new bylaws were drafted to work against the members. And what it has done is the bylaws make for an appointed board, not an elected board. So, it has put the power in this guy’s – this executive director, Bill Miles – hands to basically, when people resign, so what I call that is a buddy board. Michael: Right, he fills it in with people that are going to support him. Skip: If you are an executive of a corporation in America, you want your buddies surrounding you – your golf buddies -, because when it comes time to give you a bonus, an increase in salary, even though the stock is going down, the shareholders are being creamed, your salary is going up. Welcome to Corporate America. The corporate world. I am not going to just blame our country. The world corporations are at blame there. And there are some companies that are run very, very well. If you study some of the stocks of some of these companies, Coca Cola might be one of the better run companies where they do not get away with such abuse, but the idea is, is that this Chamber needs to have a board that is elected by the members. They need to have term limits. This fellow that runs the Chamber, Bill Miles, at four hundred thousand, the board needs to have more accountability and more control over our employee to not allow him to do this. Well, we found out that this guy set up a compensation committee. Well, the Chairman of the Compensation Committee is the godmother to his children with a three-person committee. Some of the board member did not even know what was going on. Now, the predecessor to this fellow was in the ninety or hundred and ten thousand dollar range, which, on Hilton Head, generating as big a tourism community as it is, is still a high salary. When you think about maybe more than the Governor, I mean come on. I mean you have to really be doing something to say that you deserve more than the Governor or more than Obama. I mean they have got a lot of work. Michael: Well, to be honest, I would say that your Governor is definitely underpaid. Skip: Yeah, well, you know what? I would say the Governor is underpaid and I would say our local Mayor was underpaid. In fact, our Mayor, Drew Laughlin, used to be my lawyer and he was making fifteen thousand, and they doubled up recently and I still say they are underpaid. So, yes, I agree to that. Skip: I can more understand four hundred thousand dollars for our Governor than I can understand four hundred thousand dollars for our executive director of our Chamber. Skip: Now, I want to tell you something else. So I started looking at the American Chamber of Commerce and the US Chamber of Commerce. Now this is going to blow your listening audience. Just blow everybody slap away, because it blew me away. I got in and started doing some research on Tom Donahue, the President of the US Chamber of Commerce in Washington, D.C. Well, you go ahead and do a search right now; you will read an article in Huffington Post. You will read some other blogs about it. I want to ask you a question, Michael. I am going to put you on the spot. You ask me direct questions. Skip, what are you making? What are you doing? All right, now I am going to turn the tide and I am going to ask you a question. What do you think tom Donahue, the President of the US Chamber of Commerce, is paid a year to run the US Chamber of Commerce? Take a wild guess. Michael: And again, I do not know what the US Chamber of Commerce is. Is that the umbrella for all the local? Skip: It is the lobbying group for corporations. It is a big deal. They have a lot of power. They are a big lobbying group up in Washington. It is not run like a city chamber. That is what they do. So just make a wild guess. It is big, giant, and wealthy. Michael: Well, if they are in Washington and they are a lobbyist group, I am going to throw out a million-dollar salary. Skip: Okay, good guess, because most people would say four hundred, five hundred, six hundred, and/or three hundred. 4.7 million. Jet. Limo. Now, that does not count his International travel. Maybe he is staying at thousand dollars a night hotels. Who in the hell knows what the guy is doing? Skip: But it is 4.7 million there. Limo, jet use, and whatever else the guy can – I hate to use the word steal, but with that number and that insanity, you do not really know. What is interesting is in a Form 990 on the US Chamber of Commerce, but that will not tell you everything. And how many of his buddies does he have surrounding him? Well, 4.7 million. Let me tell you what. He is going to be like Fort Knox. Skip: He is going to do everything he can to keep you from getting to him and stopping 4.7 million, because that guy is clicking some serious money in his bank account. And just like the guy on Hilton Head. That four hundred thousand dollars to him, living in a 1.5 million dollar house on Hilton Head, this guy is going to fight like crazy to not lose what he has got either. Michael: Right, but why would you even go look up Tom Donahue and the US Chamber of Commerce if it is completely unrelated to the Hilton Head Chamber of Commerce? Skip: Because I wanted to see. I wanted to see for myself. Like the Heritage Group. Remember when the Senator quit and went to run the Heritage Foundation? I wanted to see why he did that. Well, the reason he did that is because he is leaving the post as a Senator at two hundred or three hundred thousand per year, and now he is making maybe 1.5 to run that Heritage Foundation. Skip: But I wanted to see. The other reason I did that, which is interesting, is Bill Miles, when I looked up, which is completely insane, must be fifty or a hundred board members on the US Chamber website, Bill Miles of our Chamber of Commerce on Hilton Head is on that board. So they are learning well from each other on how to milk the tax payer and how to violate the free enterprise system in this country. They are learning very well. Well, what they did not plan on was a guy like Skip Hoagland coming for them. That is what they did not plan on, and exposing them. Michael: Yeah. All right, so I understand executive directors of local Chamber of Commerce’s are billing themselves as not-for-profit and taking salaries that are not commensurate with the work that they are doing. There is no performance-based compensation and the bylaws are written in such a way that they can compete with their members, especially media organizations. Michael: Too be honest with you, I have been a member of the Chamber of Commerce here, on Bainbridge Island since we moved here seven years ago. I do not think I have ever voted for anybody, so the Board of Directors must be elected by the Executive Director. Skip: Correct. I mean what happens is the power on Hilton Head is in a few hands. You have an executive board, then you have a regular board. Well, the regular board – people just join to put the name of their company to benefit the company. They do not know what the hell is going on. Skip: But what has happened is you have got the power in this guy Bill Miles. He is no longer an employee. He is now pulling all the strings. Skip: And he has surrounded himself with a small little buddy board that is allowing him to pull the strings. And I am saying to these high-profile guys, Chairman of a big law firm, Head of a big electric company, this guy, Bill Miles, goes a little bit further. He starts to surround himself with the most influential people he can find to tighten up that Fort Knox. Skip: But I am going after all them because I run an International media company and unlike other people on Hilton Head, they are worried about the repercussions to them and their family. I am not worried about that. They cannot touch me. Michael: Yeah, I think a lot of small business owners would be hesitant to do that. They do not want to make waves in their own community. Skip: Correct, they are all scared. Skip: Yeah, so I am the only one, probably one of the very few that have most of my businesses outside of Hilton Head, so I am not worried about any repercussions or a tax, or for them trying to come for me. I am untouchable and they know it, and that is why they are scared of me, and that is why this thing is getting to be very, very interesting. Michael: Yeah. So, what do you recommend that media companies in cities should do? What is their top three to-do’s to see if there is any abuse in their local cities? Should they go request a copy of their bylaws for the Chamber of which they are a member? Should they request the Form 990 from the IRS? What are the top three things they should do to see if there is abuse? Skip: That is it right there. That is it right there and that is what the executive director is being and how many employees they have. Find out how much money they are getting as a DMO, how much local tax monies they are receiving, and how much state grants they are receiving, and then ask for a copy. It is real simple. We are both businessmen here. It is real simple. How much is coming in and how much is going out, and how much is actually going to benefit the community? It is that simple. Skip: Is it a self-serving organization or is it an organization operating like it is supposed to in its original intent when it was originally founded to benefit the community? Not benefit the executive director and a bunch of employees sucking off the — you know. Michael: I am waiting for your analogy, whatever you are going to throw out. All right, Skip, how do people who are interested in this that are interested in geo domains that are local publishers – geographic publishers — how do they follow the case? The IRS case. Skip: Well, they can go to StopChamberAbuse.com and I guess that is pretty much it. They can just read it all right there. Michael: Okay, so you will post updates to StopChamberAbuse.com whenever there are any updates to be had. Skip: So now we are paying Bill Miles four hundred thousand dollars a year pay package or salary pay package to travel around the world, and now he is a construction estimator. Well, the Mayor at that time, and I am sure he will have some input into it, and then the town manager because they own the property of the big project, and we want to hear about it. And what we have not gotten from them yet is who did the estimation and how did he come up with six hundred dollars a square foot. Who was the builder on the project? There are other things like that that we are trying to find out. The bidding process. How did they get to where the HiltonHeadIsland.org went to a company in Canada with our monies? Skip: How is that possible with that kind of extreme abuse? Why did Bill Miles, and who paid for Bill Miles to go to London, England to meet the Queen? Who paid for Bill Miles and his family to go to China? Did he use monies from our Chamber and taking his family that should have been put into the (Unclear 54:20.5) of the Chamber? Well, that right there, I say he should be fired and made to payback the money. So, when you go to my website, not only will you see that they are in violation of IRS and all the other things I have talked about. Oh, and the other thing I did not mention; this is very important. For all the media companies out there, listen to this one. If you cannot stand Skip Hoagland, you do not like what I represent, you do not agree with me, focus on this one thing I am getting ready to tell you right now. If the Chamber of Commerce website and their magazines are selling a million dollars worth of advertising, where is that money coming from? It is coming from the ad budgets of the same companies you are selling to. Skip: So, what are they doing? They are putting you out of business, because they are draining the local ad budgets of the companies that you depend on to sell to, so there is an extreme abuse right there. Now, here is what I call it. Here is what I call the whole thing. I call the whole thing exactly like skin cancer. All of us in the for-profit media business in America have skin cancer. It is not going to kill us. It has been identified. We have been diagnosed with it. The dermatologist says if you remove it now or next week, or in a couple of months, you are going to be fine. No problem, we can get it out. But if you leave it there and let it continue to grow, it is going to kill you. Michael: Are there any Chamber of Commerce’s anywhere in the United States that are not competing with media organizations because they have taken a stand and they do not want to compete with local companies? Michael: What do you recommend local Chamber of Commerce’s should do? Like let’s say the Hilton Head. They had to outsource some sort of web development up to Canada, you said. Is that the case? Michael: So, if we were to identify what they should be doing, should they go out for local bid in the community – in the surrounding community – first before they even go outside the state? Skip: Absolutely. Well, Hilton Head did that, and somebody has already come forward. They said the bidding process was so corrupt and so rigged that it was impossible for them to get that bid. So that is one of the other things we are claiming in some future lawsuits down the road, and that that was an abusive process for the members that were bidding that contract. And it is real simple. The Chamber of Commerce website should not be difficult. It should not be in-depth. It should not be sophisticated. In fact, it should be opposite. It should be a very nicely done, created director website giving people the information that they want for that community. If they want to look up, from A to Z, plumbers, electricians, media, and hotels. That is it. Michael: Right, but if Chamber of Commerce’s outsource their media needs to local companies – so, let’s say that my local Chamber says, “We need a brochure. Mike, your company and the three newspapers can bid on this.” Aren’t they essentially picking a local winner over the others? Skip: That is correct. That is a fair bidding process. Only if there is nobody locally that offers those services should they be allowed to go outside the membership and that community. And that first bidding process, not just the community, to members. If there is not a member that can do what they need to do for that project, then the community. Then, after the community, would be that greater area. After the greater area would be the state. After the state would be the United States of America. And to go outside the United States of America or, quite frankly, outside your community or outside your state would be sheer insanity because there are hundreds of companies that can do anything that they need to have done. Period. Michael: And that seems like a no-brainer. It seems like that should be one of the first bylaws in the Chamber of Commerce Bylaws. And if I go and request mine today, which I am going to go do, it might not be there? Skip: Yeah, it might not be there. It might not be there and it needs to be there. It means the bylaws need to be redrafted. The people in the community need to get together and make them aware that this needs to be improved. That these bylaws needs to reflect more of a protection and a supportive measure for the members of this organization. Skip: You clean that up right away. But we are still abused on Hilton Head. There is so much abuse on Hilton Head that it is just a bunch of what I call happy horse manure. That is what it is. It is just a bunch of happy horse manure, and it has got to change and I am doing all that I can to change it, and I think I am making some very good headway. I think there is a lot of people that are supportive of me not only in the media business. Of course they are supportive of me, because they know that they are hurting them, but people even not even in the media business are supportive of me, and that would be the four hundred thousand dollar salary. Almost across the board, people believe that that is abusive to them as a member. Skip: I mean think about it. One thousand members to pay one guy basically. Michael: Right, and I think everybody else who is a business leader would agree that two companies that have to compete directly head-to-head in advertising and marketing, one should not be a for-profit and one should not be a not-for-profit. One should not have a competitive advantage over the other. Skip: Absolutely not. It is just not fair. It is not America. It is not the way we want America to operate. We have to clean it up. Look, we have a lot of problems in this country. Look what is going on with the IRS right now. Luckily, a lot of the young guys coming up are smart. We are going through some bad times right now. I tell people the bad times sometimes can be the good times, because when you go through bad times and you are in a bad economy like we are right now, it makes each one of us reflect on ourselves and our families and the businesses that we run and that we are invested in. It makes us look deeply at these abuses, because it is hard and it is harder to make a profit. So we want to clean it up. We want things to operate properly. And that is what happened to me. That is the very reason that this whole project, for me, started, because I was being affected. I saw that I was being affected and I was being attacked unfairly and competed with unfairly. And then the deeper I dove into it, the more abuses and the more corruption and abuse I saw. And then, local, state, nationwide, worldwide – I mean I see it even in other countries. Skip: And so it is happening everywhere. Type in any city. Type in London. Look what is going on there. The London Tourist Authority is trying to put the poor guy that owns London.com and LondonTown.com and all the other free enterprise there. Well, I imagine that the British system is very similar to ours. I imagine that they operate similarly to what we do. And Japan, China, and Cuba. I mean we all know, even here and Argentina, there is difference between socialism, capitalism, and communism. But I can tell you, in the United States of America, we have problems, and I think what I have identified is without a doubt this Chamber of Commerce/CBB thing is the biggest threat in America to the free enterprise for-profit local media industry. The single biggest threat. Michael: All right, with that, Skip, this entire interview has taken a different turn than I expected, but I appreciate it. I am appreciative as a media company owner and as a publisher. Anybody that is going to be in the newspaper industry, in the tourism industry, and/or in the local geo domain owner industry should pay attention to this and should follow what you are doing at StopChamberAbuse.com, should go into their local Chamber if they are a member and request their Form 990 from the IRS. Ask for their bylaws. Take an active role in what is happening in the local community. What I do now, Skip, is I am going to ask you to come back on the show again, on a separate day, and we are going to talk about your geo domains. We are going to talk about your publishing company, the print magazines, and the tourism brochures that you develop, because I want to learn more about those and how your businesses changed there. So I am going to invite you back and we will work that out. I also ask now if anybody in the audience has questions for you, Skip, that they can post them in the comments below the video when this show goes live, and then I will email you to come back and answer as many of them as you can. And if somebody wants to email you directly, Skip, and ask you a question – they do not want to post it publicly, maybe they just want to send you an email and say thank you -, is there a best way for them to do that? Skip: Well, I do not know how much my box will fill up. What do you think? I do not know what to do about that. I certainly want to help everybody. Michael: Can they go to the Contact Form on StopChamberAbuse.com? Skip: I think we actually do. I tell you what. Michael: If anybody wants to email you, they can email me directly at Michael@DomainSherpa.com and I will forward it to you. How about that? Skip: Why don’t you just do that, and why don’t we just keep this going, because you are right, we are going to have to do probably several more shows to really dive into all this and all the different aspects of this, and dissect this. I mean this is not a simple thing. This is not a twenty or thirty-minute thing to figure out there. Skip: And I do want this particular program that you have done here – this will need to be mailed out. This will need to be sent out to every Chairman and President of every media company in this country. I have got some of those contacts. And in fact, I think your real contact, and I am saying this publicly because I have a lot of respect for the company and that is Borrell and Associates. Gordon Borrell needs to hear this. He needs to watch this. He might even want to have this as part of one of his webinars. And I think that Gordon could be very instrumental in sending this out to all the media contacts in this country who will find this interview to be very compelling and very serious. Okay? 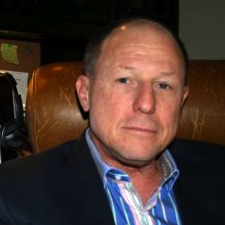 Skip Hoagland, the person behind StopChamberAbuse.com and Founder and President of Domains New Media. Thank you for coming on the show, sharing your knowledge about this issue that is happening with local Chambers, with Tourism Boards, and with Convention Bureaus. Thanks for sticking to your guns for all media companies out there and thanks for being a Domain Sherpa. Skip: You bet, Michael. Great job. I am glad I did this. So glad, thanks. Michael: Me too. Thank you all for watching. We’ll see you next time. Having my own problems with that same crowd. Thank You, Michael, for you great passion and professionalism. Michael, excellent interview with Skip Hoagland. Wish there were more active & concerned businesspeople like Skip Hoagland around — & less of the nay-sayers. Having been personally affected in our own small business by this sort of not-for-profit shennanigans, I wholeheartedly agree with everything Skip says. And it’s rife in Australia as well, folks. Keep up the good work. I’ve subscribed so I catch Michael’s next interview with Skip. There’s an issue that Skip brought up that deserves attention: non-profit organizations competing directly with for-profit companies, but receiving different tax advantages as a result of their company formation. I believe that it’s a valid concern. If the executive director of my local non-profit Chamber of Commerce were making more than $300,000 per year, I’d likely also have a problem with that. It would be personal to me in that case. And I think it’s worth it for anyone operation a business that is a Chamber member to be aware of this so they can look at the finances of their membership-based organization. Why is this not just fair and honest competition, Skip? I believe Skip’s point is the tax exemption issue of the Chamber of Commerce, therefore it’s not a level playing field. I’ll defer to Skip though as I don’t want to speak for him. Skip – I get your issue with the guy making $350,000 or wasting taxpayer money – but I totally disagree with you having an issue with them publishing a directory, selling advertising etc. They are there to generate business for the members. Just because you are competing with them doesn’t mean they aren’t helping local businesses. There are plenty of chambers of commerce, visitors bureaus etc that do lots of good work and drive the business. Printing up a directory is just an extension of making the place more attractive. I’ve had the pleasure of knowing Skip and his wife for many years and have participated on many boards with him. He is a stand up guy that fights for what he believes in. As always I enjoyed your professional interviewing Michael.